A comprehensive guide to making pizza, covering nine different regional styles--including standards like Neapolitan, Roman, and Chicago, as well as renowned pizza sub-specialties like St. Louis and Californian--from chef, 11-time world Pizza Champion Tony Gemignani. Everyone loves pizza! From fluffy Sicilian pan pizza to classic Neapolitan margherita with authentic charred edges, and from Chicago deep-dish to cracker-thin, the pizza spectrum is wide and wonderful, with something to suit every mood and occasion. And with so many fabulous types of pie, why commit to just one style? The Pizza Bible is a complete master class in making delicious, perfect, pizzeria-style pizza at home, with more than seventy-five recipes covering every style you know and love, as well as those you’ve yet to fall in love with. Pizzaiolo and eleven-time world pizza champion Tony Gemignani shares all his insider secrets for making amazing pizza inhome kitchens. With The Pizza Bible, you’ll learn the ins and outs of starters, making dough, assembly, toppings, and baking, how to rig your home oven to make pizza like the pros, and all the tips and tricks that elevate home pizza-making into a craft. 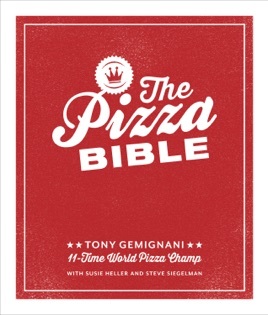 With r sum credentials such as Guinness Book of World Records holder for creating the largest pizza, and president of something called the World Pizza Champions, it would be easy to not take Gemignani seriously. But given the content of this collection of more than 100 recipes, this would be a mistake. He approaches the craft of making pizza dough with the same intelligence and expertise as that of a pro brew master concocting an artisanal ale. In the opening section, he teaches a master class of crust, exploring everything from the proper flour and yeast and kneading and fermenting to the correct technique for moving a pie from countertop to oven. He makes no apologies for the precision found in weighing ingredients using metric measurements, though he is perhaps owed one from the designer who decided to list recipe ingredients in narrow, left-hand margins that sometimes, confusingly, run on for more than one page. Pizza styles from across the country and around the world are touched upon, so there is plenty to love and to hate. Beyond the classic opposites, New York thin crust and Chicago deep dish, there are sweet California options like a multigrain white pie drizzled with honey, and a Monterey Jack pizza topped with figs and roasted almonds. The sauce for a Barcelona pie contains Spanish saffron threads, and his Sardinian recipe calls for a regional pecorino cheese. 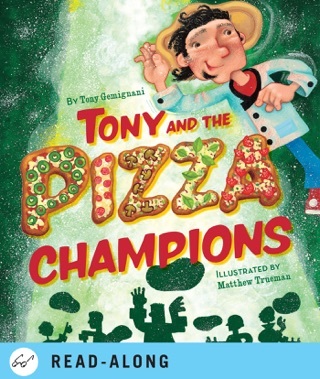 I’ve read quite a few of these … Tony has put together some of the most magical pizza’s and techniques. So grateful and excited! I love this book. It's well written, and the recipes so far have been fantastic and out of this world! I made the Master class New York style pizzas this weekend and the entire family was amazed at how good it was. 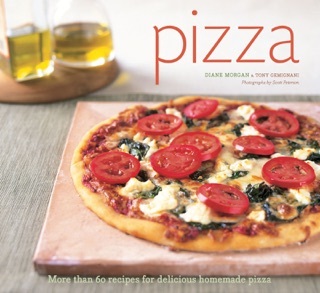 If you're going to get a pizza book, you should definitely try this one. Good book from what I can read of it so far, but there are many bugs in the iBooks formatting. Skipping ahead and behind pages may result in a loop, I can duplicate this bug in multiple computers and IOS devides which leads me to assume the file is paryially corruted. Hope the publisher fixes this ASAP!